For some people, the relentless waves of fog that roll off the Pacific Ocean into San Francisco each summer inspire awe. For others, they arouse frustration, even depression. Either way, fog is simply a fact of life for San Franciscans, particularly those who live near the Golden Gate Bridge. 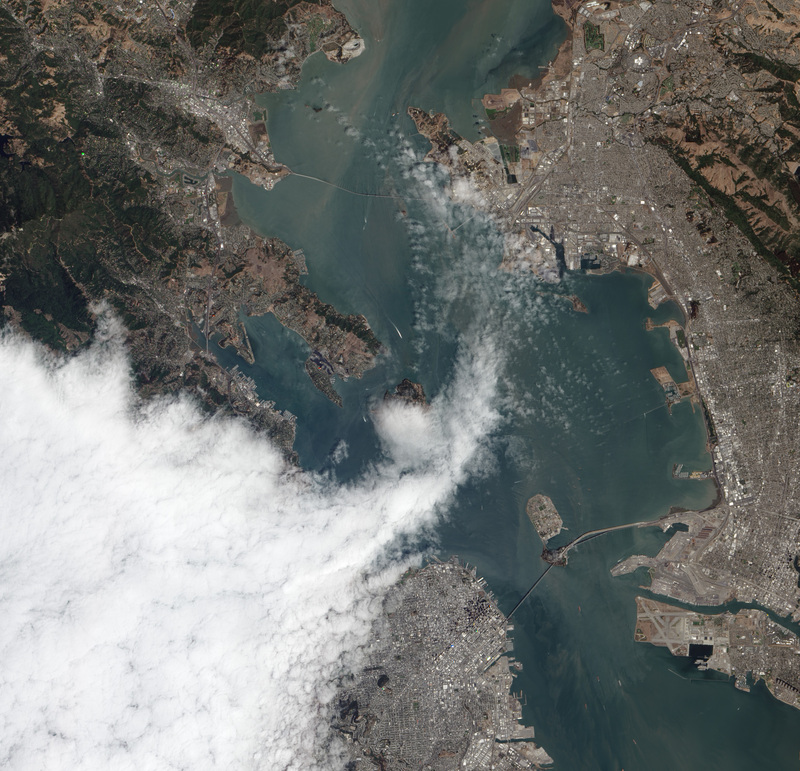 The Advanced Land Imager (ALI) on NASA’s Earth Observing-1 (EO-1) satellite acquired this view of fog encroaching on the city on August 16, 2012. The fog is part of the marine layer, a mass of cool, dense air from the sea that was sandwiched beneath a layer of warmer air as part of a temperature inversion. Fog is often present in the lower part of the marine layer, whereas wispy stratus clouds form in the upper part. What exactly is fog? Technically, it is a field of water droplets suspended at or near the surface that significantly reduces visibility. By international convention, suspended droplets must limit visibility to 1,000 meters (3,000 feet) or less to be considered fog; otherwise the suspension is considered “mist.” Put more simply, fog is just a low-lying stratus cloud in contact with the ground. 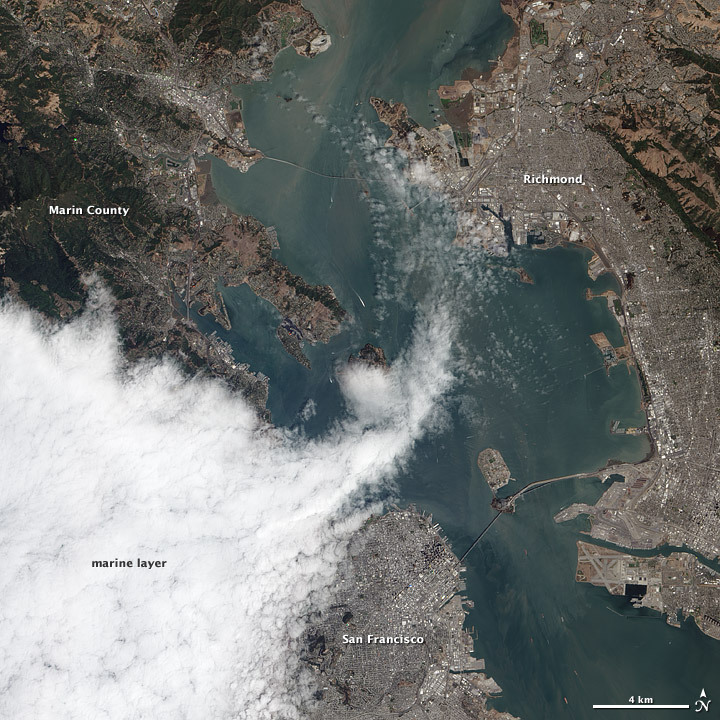 In San Francisco, fog is most common during the summer due to a combination of environmental conditions that cause wind patterns and ocean currents in the North Pacific to play off one another. One of the first steps involves the northward migration of the Pacific High, a high-pressure weather pattern that strengthens and moves toward the coast in the spring and summer. 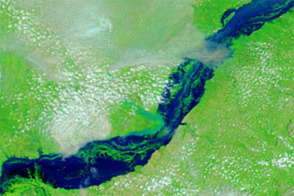 The high causes wind patterns to shift, which in turn affects the California Current, a major ocean current that flows from British Columbia south along the Pacific coast. During the summer, the strengthening of the high pushes the California Current’s surface waters away from the shore. As this happens, deeper, colder water rises up to replace it, a process called upwelling. Upwelling causes water temperatures in the Pacific to be frigid, but biologically productive. When sea breezes blow over this cold water, water vapor is forced to condense out of the air, forming advection fog. A different type of fog—tule fog—forms in San Francisco during the winter due to a separate set of meteorological conditions. Earth Science Picture of the Day. (2009, September 23) San Francisco Fog. Accessed September 7, 2012. KQED. 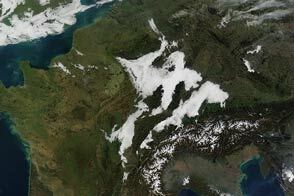 (2011, Aug 8) The Deep Cold Secret Behind Summer Fog. Accessed September 7, 2012. San Francisco Chronicle. (2009, July 9) San Francisco’s Famous Fog. Accessed September 7, 2012. San Francisco Chronicle. 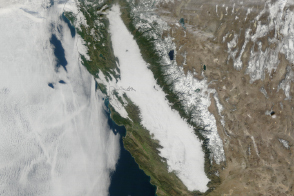 (2002, February 11) Winter Fog Machine Switches On: How Ground Moisture Turns into the Bay Area’s Thick White Veil. Accessed September 7, 2012. Scientific American. (2012, December 9) Clearing and Present Danger? Fog That Nourishes California Redwoods is Declining. Accessed September 7, 2012. Twitter (@KarltheFog). (n.d.) San Francisco Fog. Accessed September 7, 2012. 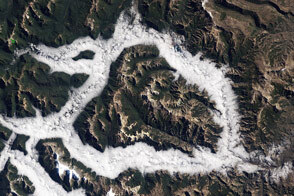 NASA Earth Observatory image by Jesse Allen and Robert Simmon, using EO-1 ALI data from the NASA EO-1 team. Caption by Adam Voiland. 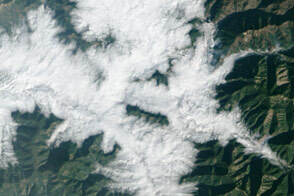 Fog forms along the Pacific coast when warm air currents meet chilly waters welling up from the deep ocean. Koracin, D. (2005, July 9) Formation, Evolution, and Dissipation of Coastal Sea Fog. Boundary-Layer Meteorology. Accessed September 7, 2012. Leipper, D. (1994) Fog on the U.S. West Coast: A Review. Bulletin of the American Meteorological Society. Accessed September 7, 2012. Starratt, S. (2001) And the Fog Will Burn Off by Noon (pdf). 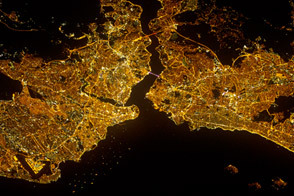 Geography and Natural History of the San Francisco Bay Area. Accessed September 7, 2012.